: Improv actor and comic Stephen Colbert leaves his "The Colbert Report" character behind as he makes his long-awaited return to television. As the host of The Late Show franchise redux -- taped at the historic Ed Sullivan Theatre at New York -- Colbert talks to actors, athletes, politicians, comics, artists and musicians as himself for the first time. 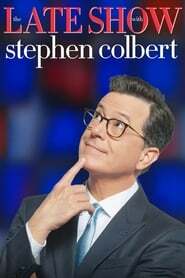 Loyal fans, however, will also be treated to consistency as Colbert remains backed by many members of his writing and digital team from his former venture. Julliard-trained Jon Batiste serves as the bandleader.